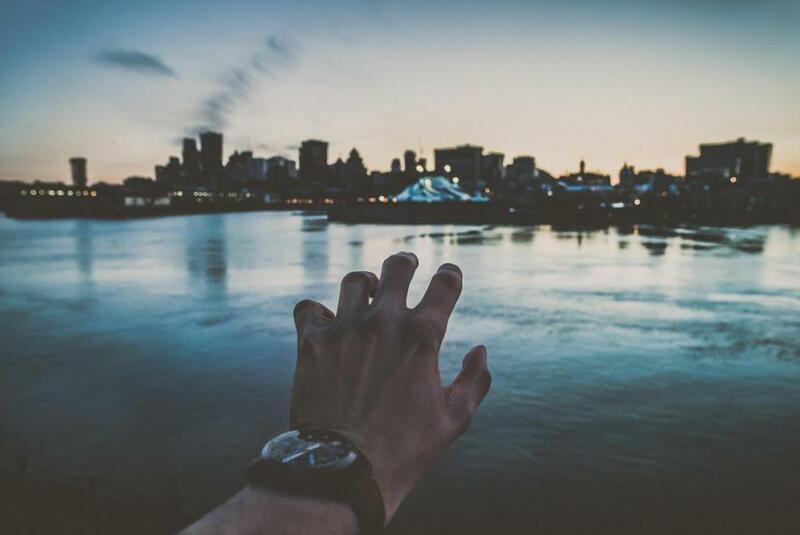 Re-targeting is crucial to closing sales. Here is how to do it right. There is only one difference between using Facebook to promote your services, and having a marketing system that gets consistent, reliable and better results (almost) on autopilot. Marketers and business owners know how important it is to have a comprehensive marketing plan, one that pushes people into your funnel and transform them into customers. The problem is that most marketers are NOT using retargeting, or they don’t use it with the aim of creating Custom Audiences in order to reach specific people and gain different marketing objectives. 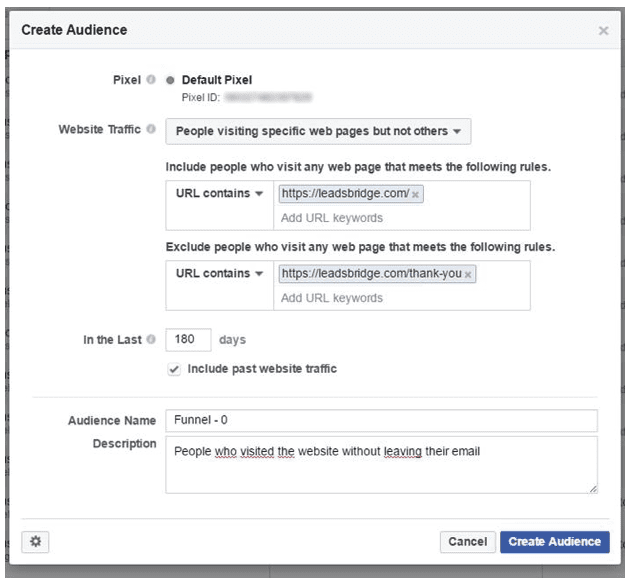 In this article you will discover why having a comprehensive retargeting strategy on Facebook can cover EVERY single step of your funnel, empowering all your marketing efforts. An effective marketing funnel should include a brand awareness stage. Here, retargeting can help you reach and engage more people interested in your offers, effortlessly. For example, by installing the new Facebook Pixel on your website or blog, you can build audiences and get insights about how people use your website. This is useful because, by doing it, you can understand how people use your website. Through retargeting it is possible to create Custom Audiences of those who visited specific pages on your website without purchasing. 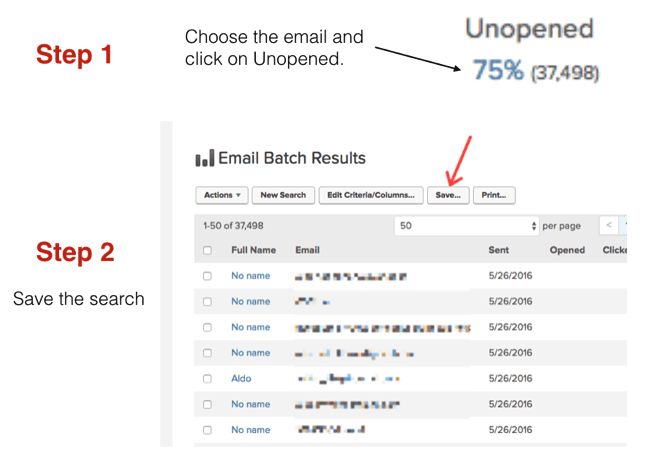 Moreover, you can identify users who visited your website without leaving their email. Once you built your audiences, by running retargeting campaigns with the aim introducing such people to return to your website or blog, you will raise your brand awareness and increase the efficiency of your ads. However, it is not mandatory to have a blog or a website to create engagement with your audience and reach new users through retargeting. Facebook allows you to create a list of people who have engaged with your content on the social network. For example, you can promote a video on Facebook and build a custom audience of people who saw it. Moreover, Custom Audience can be used to reach users who interacted with your Page or other Facebook tools. A retargeting strategy can help you generate more leads, for example, by identifying users who visited your website or viewed your Facebook activities without leaving their email. If you collect leads through a Landing Page, you can build an audience which comprises such visitors by going into your ads manager. There, you can create a list of people who visited your website or viewed specific pages. It is important, when you run a lead generation campaign through retargeting, that you include within these lists the people who visited your website, excluding those who viewed your thank you page. This combination avoids spending money on advertising for prospects who are already into your funnel. If your landing page is not performing well, you can collect the email addresses of your prospects through Facebook Lead Ads. In fact, Facebook Lead Ads is a tool that allows you to generate leads without even sending traffic to a website. This tool is also configured to build Custom Audiences of people who opened or completed the form, so you can run retargeting campaigns for those who did not finish the subscription process and reach them again. The only problem is that Facebook Lead Ads stores leads’ data on a CSV that you need to download, in order to send instant follow ups or call prospects upon their subscription to your lists. As you can imagine, this is a time waste that can compromise the quality of a lead. However, you can sync your Facebook Lead Ads to your CRM or Autoresponder through Facebook Lead Ads Sync. 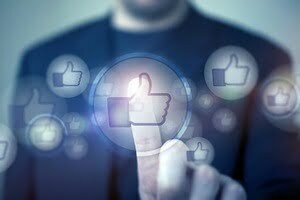 There are several ways to reinforce the whole advertising efforts you sustain through Facebook Retargeting. For example, you can create specific campaigns for people who come from other advertising platforms. You can do this, while they are browsing on Facebook. In fact, thanks to the Facebook Pixel you can build audiences from all your website visitors, also if they came originally from Adword’s, Linkedin, Twitter ads or Youtube. By doing this, you will maximize your marketing efforts, which is one of the most powerful features of retargeting. 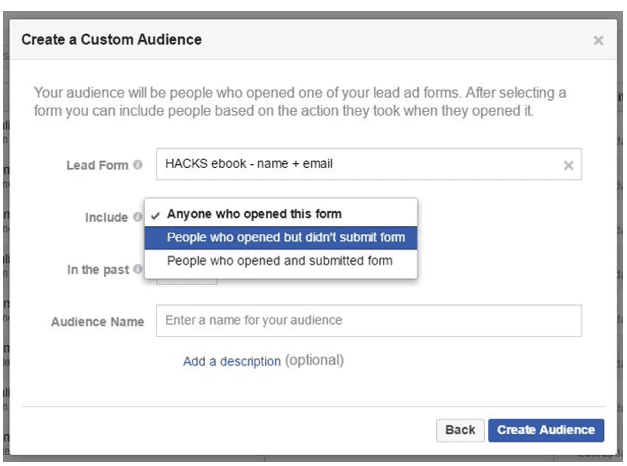 Moreover, through Facebook you can create Custom Audiences from your email database and run CRM retargeting campaigns. Email marketing is a key tool in your advertising activities, but through retargeting it can be even more efficient. An email database, in fact, contains useful information about your leads and customers: which emails they open, which topics they like, etc. CRM retargeting allows you to reinforce your email marketing campaigns, because you can identify contacts who did not open your email and, by uploading this list’s segment on Facebook, you can run ads to inform these people about your offer or share new contents, also if they missed your emails. Retargeting allows you to create audience segmentation and customize your ads, depending on users’ interests and behaviors. For example, many marketers use their blog to create categories from their blog. Consequently, they can build custom audiences of people who visited articles about certain topics to create specific retargeting campaigns. Indeed, CRM retargeting is probably the best way to define specific personalities within your audience. CRMs and marketing automation softwares, in fact, allow you to fire specific actions, campaigns or sequences depending on how prospects respond to your email follow ups and newsletters. Through CRM retargeting, you can create several retargeting campaigns for each kind of people, with a compelling copy that matches prospects’ behavior. By using retargeting and building Custom Audiences of clients, you can create ads specifically designed to present them more offers. You can create a Custom Audience of clients manually, for example, by uploading a CSV file of all your lists on Facebook. 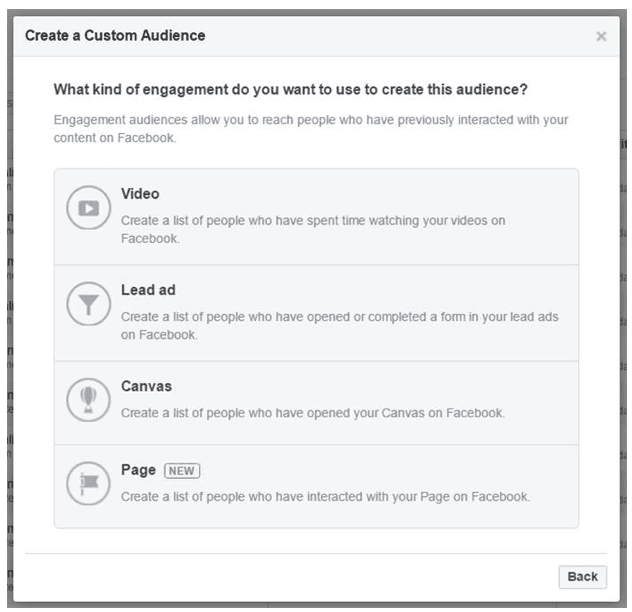 However, you could also automate the Custom Audience building process, by connecting your CRM to your Facebook ads thanks to a tool called “Custom Audience Sync”. 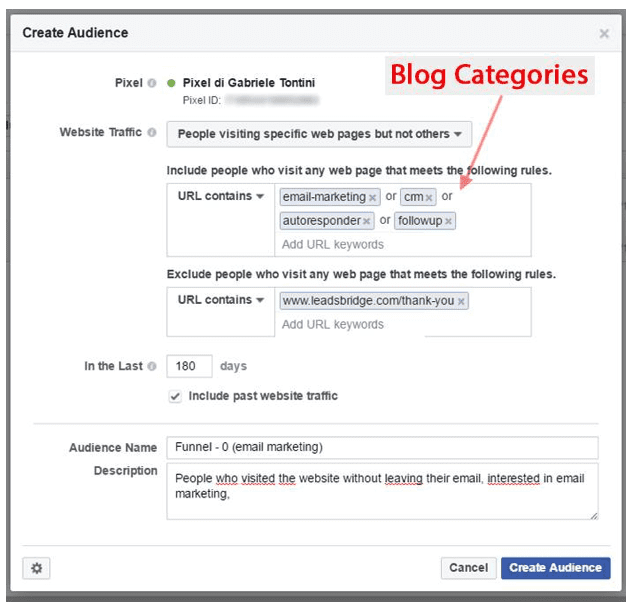 Do you use any of these retargeting methods to create and nurture your Custom Audiences around your business on Facebook? Feel free to share your thoughts in the comments below. Thanks to Stefan Desfor sharing his advice and opinions in this post. Stefan is CEO and co-founder at LeadsBridge. A suite of automation tools for Facebook Advertisers. He is a Social Advertising and Marketing Automation enthusiast. You can download his Facebook Ads Insider’s Hacks here. You can connect with Stefan on LinkedIn.